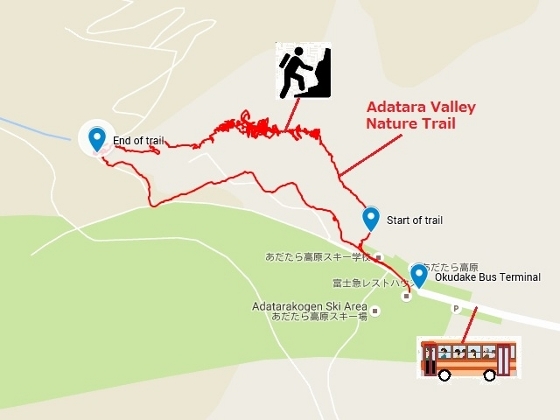 Today, I walked along Adatara Valley Nature Trail, which is located at Okudake area on the slope of Mount Adatara. 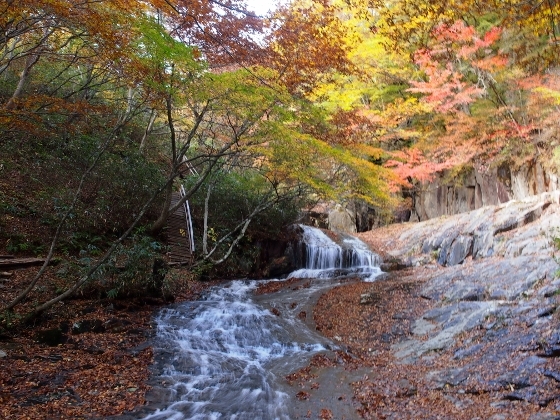 The valley runs along the Torikawa River, which is 1000m above sea level. 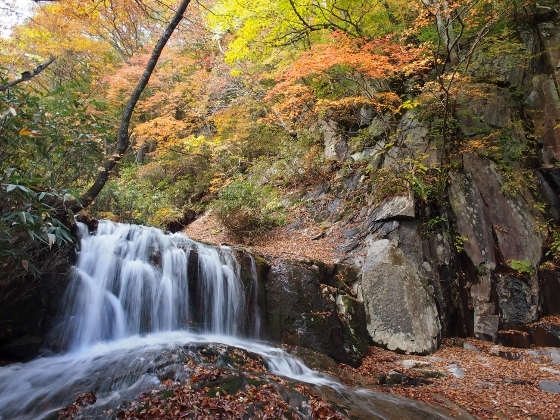 Photo above is one of the views today with a waterfall and surrounding autumn leaves. 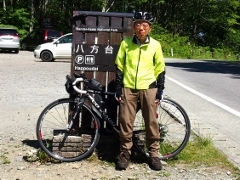 I took a shuttle bus from JR Nihonmatsu Station in the morning (8:15) to Okudake Bus Terminal, where the start point of the trail was very close. Some other waterfalls looked like above. 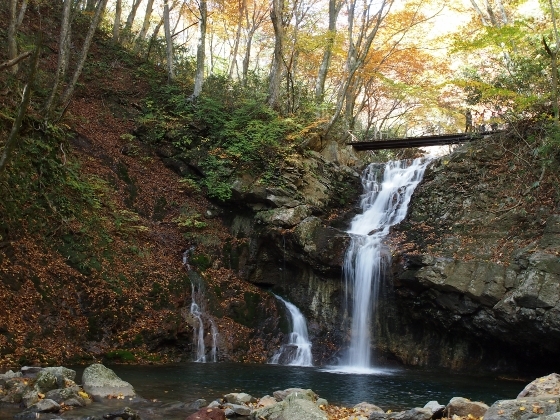 The second one is named "Shoryu-no-taki" or climbing dragon fall. The trail was about 3.7km walk in the actual GPS measurement along the river. After I finished walking, there was some time left before a return shuttle bus starts at 2:40 p.m. There was a new public hot spring bath facility in front of the bus terminal, which is called Okudake-no-yu or Okudake Hot Spring as shown above. It was an acidic (a pH of 2.48) hot spring which wells up naturally from way up on Adatara Mountain some 1500m above sea level. (This is the same hot spring source as that of Kuroganegoya.) The hot spring water travels all the way down to here. 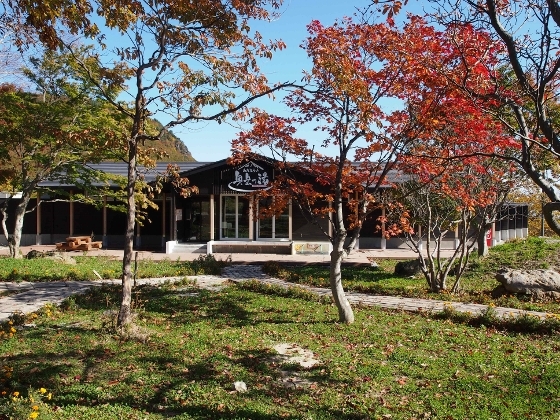 I tried this public bath for the first time, where I realized an excellent quality.